Influencer marketing is a tactic that allows companies to leverage industry influencers to amplify their brands primarily through social media channels. The landscape of digital marketing is ever changing. One cannot solely rely upon the typical marketing tactics and hope for inflated brand visibility online. It’s not like they are not working anymore. They work but to cut the clutter of growing competition; you need something with a little extra power. When marketers are executing a new procedure every day, you need a rock-solid hack that can skyrocket your business sales in the shortest period. Chances are, Influencer marketing can be your next growth strategy. In a study by Tomoson, influencer marketing is ranked first as the most promising customer acquisition method leaving behind everything from organic search, paid search to email marketing. So if this is something you’ve never heard before (which we suppose is very rare), then sit tight, you are about to explore a very effective marketing strategy here. Let’s get started. Influencers are no one but the people with a vast online audience. They have the power to convince their followers, subscribers, fans, customers, etc. into purchasing or learning more about a specific product or service. 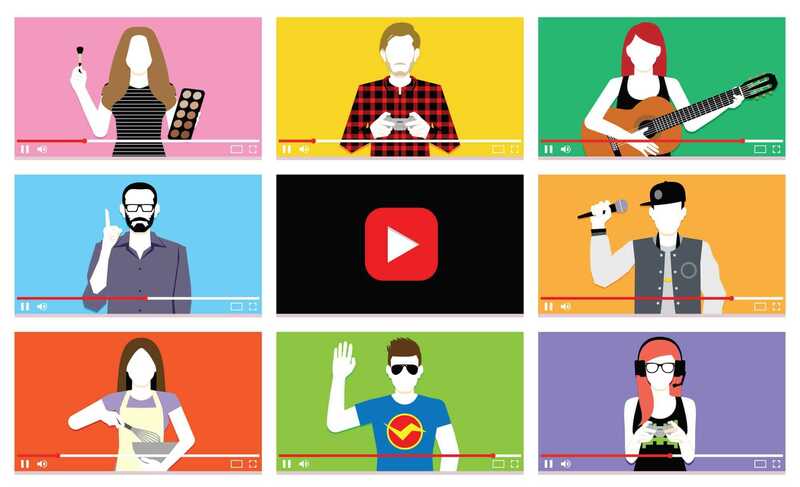 Your audience might be following these influencers over social media or on Youtube. They look for their reviews, tips, and trends to make a purchase decision. So you can see, it’s working. Influence marketing is most effective when brands want to target genuine customers. Influencer marketing currently amounts to anywhere between $10-15 million in the market value. Wondering, how can you get it on the trend of influencer marketing? The first step towards a successful influencer marketing campaign is to approach the right influencer of the industry. That means finding the one who has a good reputation in your niche along with having a huge audience base. Obviously, you don’t want to work with an influencer for your financial business who always promotes beauty products. Relevancy is key everywhere. So who are these influencers? For most people, influencers directly refer to some top celebrity figures. But influencers don’t necessarily need to be celebrities. They can be anyone- a lifestyle follower, a comedian, a blogger or even an industry expert. But before beginning your search for influencers, you need to make sure what end motives you want to perform from your influencer marketing campaign. For example, an influencer who is having a highly engaged audience on his blog won’t benefit you if you want an active audience on Instagram(just an example). Now let’s see what can you ask these influencers to do for your branding. How can influencers help you increase your brand visibility? The sky is the only limit when it comes to any vertical of marketing. This is also true in the case of influencer marketing. You can ask your influencers to market your products in a variety of ways depending upon your end goals. You can ask an influencer to add a link of your product, service or offer on their website. It can be in any form. They can add a text link in their blog post or can add an image link on their website as a banner on the sidebar. You can ask influencers to promote your product at an event they are going to attend. Of course, how they do it totally depends upon the type of event. They can give a short intro about your service in their speaking sessions, can wear your brand logo in the form of caps, T-shirts, etc., or can speak to your potential customers face to face. You can ask influencers to mention your brand in their videos or podcasts in a way that people want to explore more. The influencer can create a social media post and share it on their official platforms. The type of post can vary depending upon the channel. For example, they can tweet about their experience with your service, they can provide a review of your product on Youtube, and if nothing justifies your service, they can simply share an image on Facebook or Instagram. You can ask them to promote you in their marketplace. Probably the last thing that you might want to know in this guide is how to connect with these influencers? How to connect with influencers? Influencers are always interacting with their audience. They keep sharing the updates about their recent collaborations and the type of partnerships they are particularly interested in. So keep a hawk eye on their daily updates and dig around the people who are in general contacts with them. You have to make them fall for your products so that they can stand behind it and promote it. That means you need a clear pitch which should be convincing enough. Make up your mind for what you want in return for a collaboration. Do you want them to write a review, to make a video, to create a social media post or to mention your product in something they are already doing? Have your ideas prepared but be open to their suggestions as well. When you are ready to run an influencer marketing campaign, it is always better to offer something more with it. You can align your discount or sale offers in your influencer marketing plan and entice your targeted audience. Marketing is all about collaboration these days, and Influencer marketing is an effective way of doing it right.